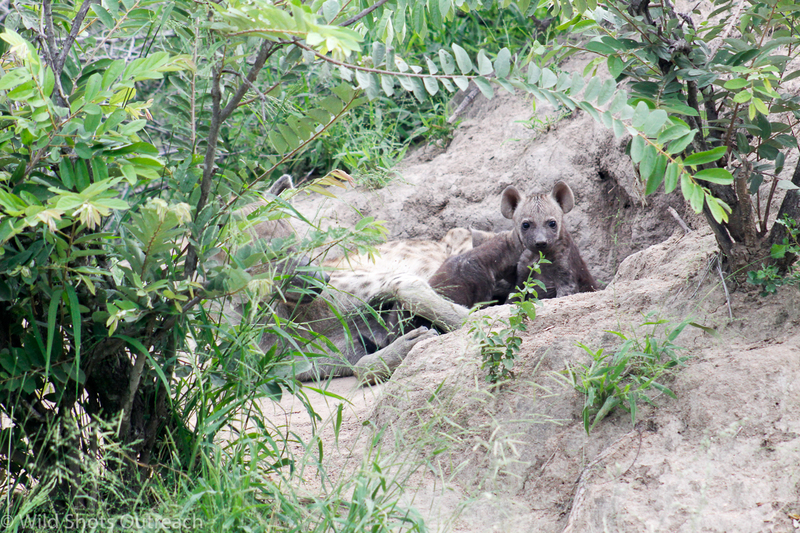 The lodges of Sabi Sand play an important role in conservation as well as aiding where possible in community upliftment projects, so on receiving the request to host a small group of budding photographers, led by Mike Kendrick of Wild Shots Educational Outreach, we jumped at the chance to lend a hand. 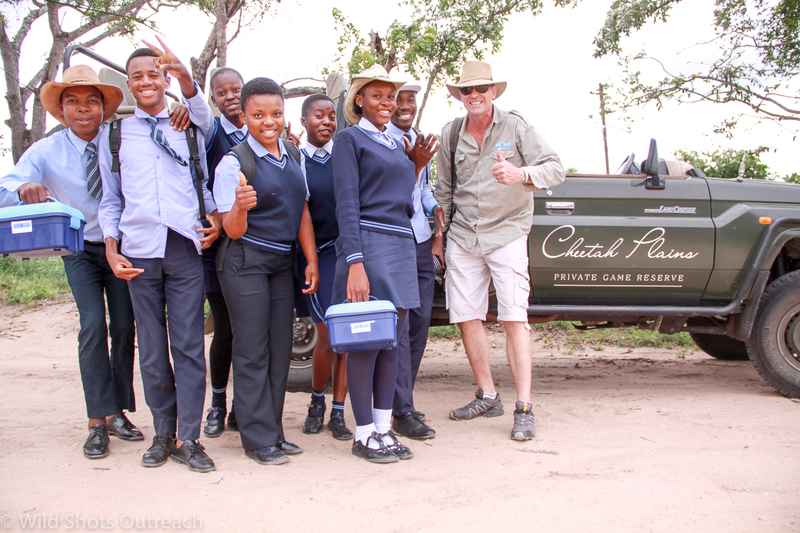 Mike, along with his assistant, Mahlatse Rapitsi, 8 students from Madizi Secondary School and their teacher, Joseph Rashopoola, Damon Hyland from Beautiful News and Katoo Peeters, a Belgian photography student; entered the gates of the reserve for an afternoon of practical learning. The students, met by Gary, myself and Andrew, were all excited to get clicking as they excitedly climbed into the game viewer, cameras in hand. 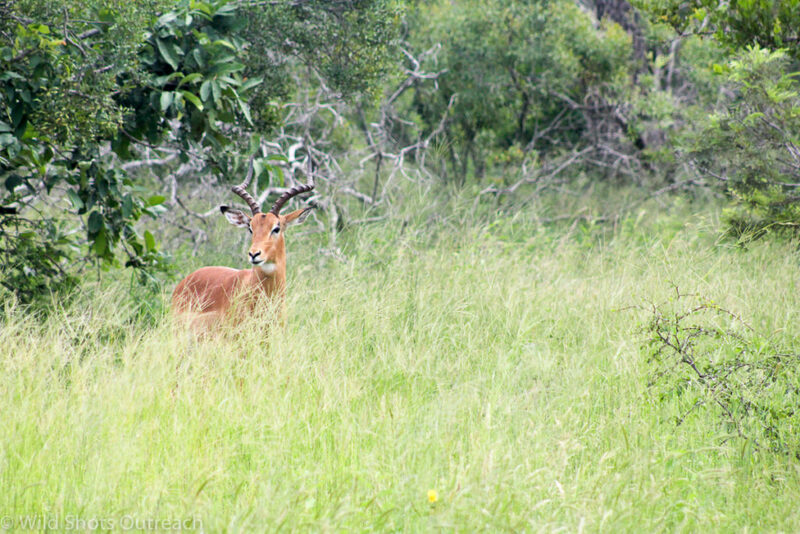 We moved slowly through the bush, the first sighting being of impala. 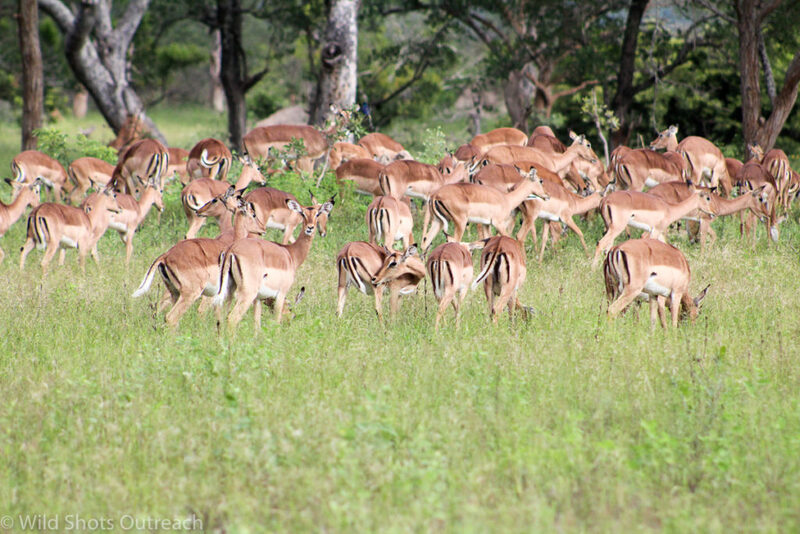 Andrew, who led the drive, paused and shared a few facts on the antelope while the students leaned and zoomed, being careful to “remember the rule of thirds” as expressed by Joseph. 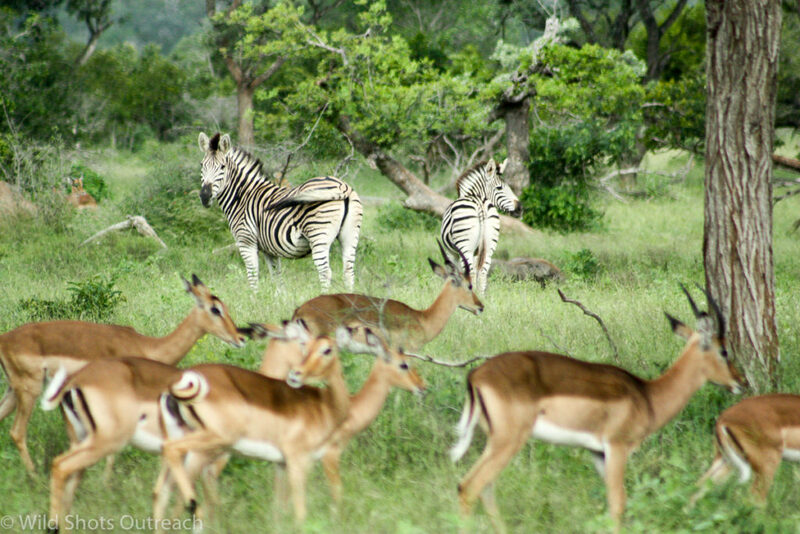 A few impala and some zebra later kept the student snapping away. 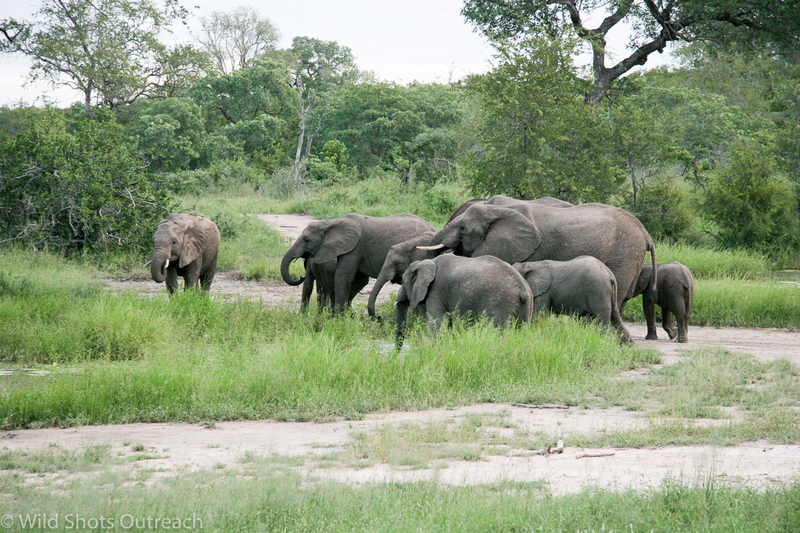 As we were about to head to Cheetah Plains Open, we sighted a small herd of elephants in a drainage line, making their way towards a modest waterhole. 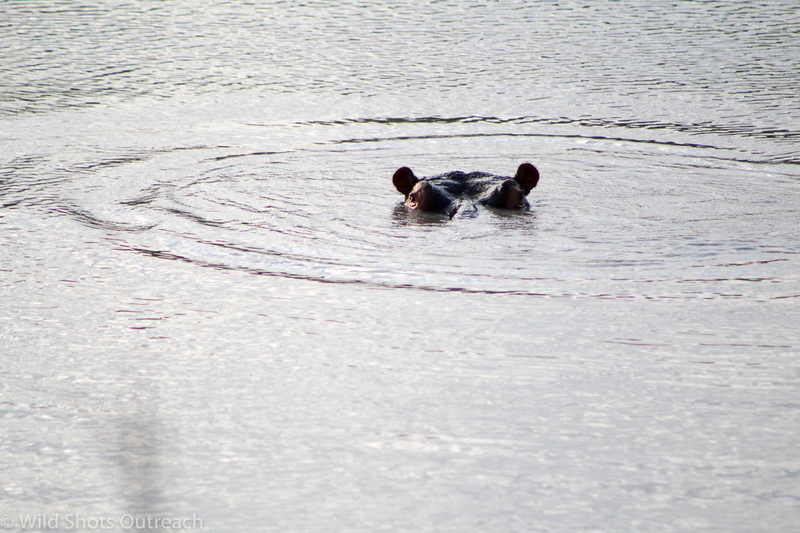 We turned the vehicles and drove to the waterhole where we calmly waited. 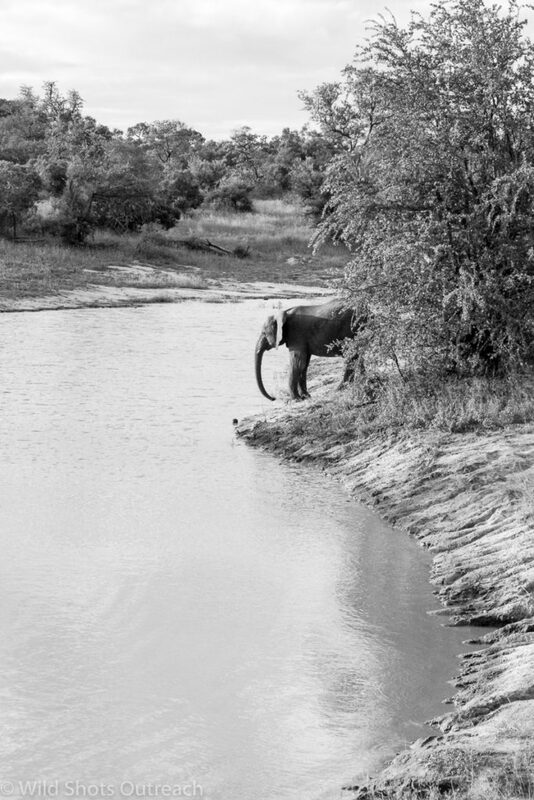 Sure enough, the elephants lumbered through the thickets and paused for a browse, merely a few feet from the students’ vehicle. The scene was happily met with numerous shutter sounds and the eager need for feedback and guidance from Mike. Everyone remained calm, which was perfect, as it allowed the elephant with their young to pass by unperturbed by our presence. I think the kids got some great shots then! I know I most certainly did. When was this project concept conceived, what spurred the idea and how did you go about making it materialise? The Outreach programme started January 2016, supported by Southern Cross School. 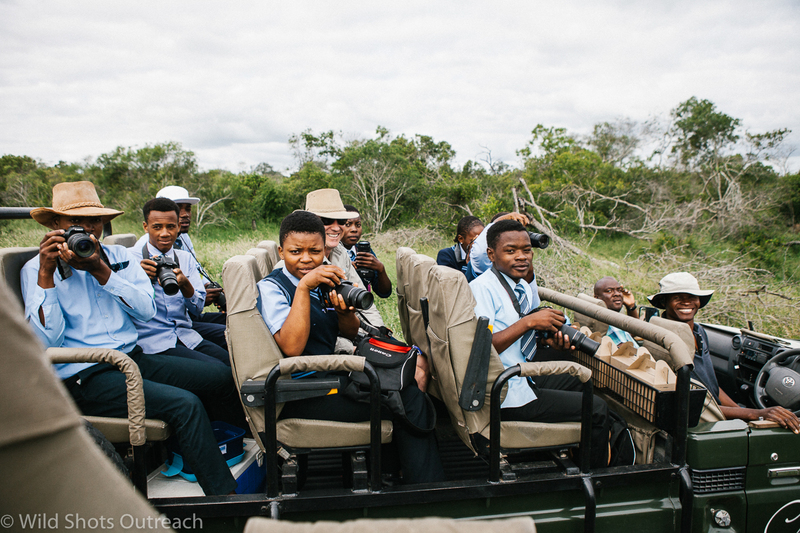 I was shocked to find government school children living close to Kruger and nearby reserves had never been into these areas or seen the wildlife. I help my wife, Harriet Nimmo, and Sophie Dandridge run the Wild Shots conference and we struggle to find South African wildlife photographers of colour to speak at the conference. From what I grasped, it stands to reason that introducing photography to children/teens in rural areas provides them with a spark to explore the country and broaden their future, along with the seed planted for conservation and love for wildlife. Other than this, what is your definite main aim of this project? You are exactly right. We are aiming to help local communities understand value of wildlife. That’s value in terms of economics and beauty. We hope to identify the conservationists of the future, boost self-esteem and develop transferable skills. Do you undertake a few courses with the same group of students or is it one workshop per area/school? I work with one school at a time delivering 5 workshops and a game drive. I have run 17 programmes for 172 students so far. Have you had any success stories as of yet? Successes thus far have included an exhibition at Everard Read Gallery, Rosebank, Johannesburg with 11 students attending the opening night. 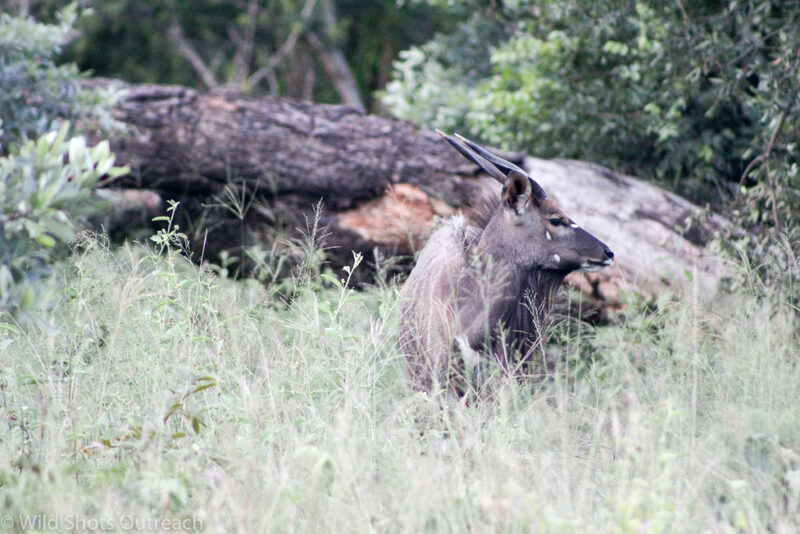 Lucky Mahlatse Rapitsi took the Wild Shots course and is working as photojournalist at Kruger 2 Canyon newspaper. Lucky also had a photo published in Sunday Times. 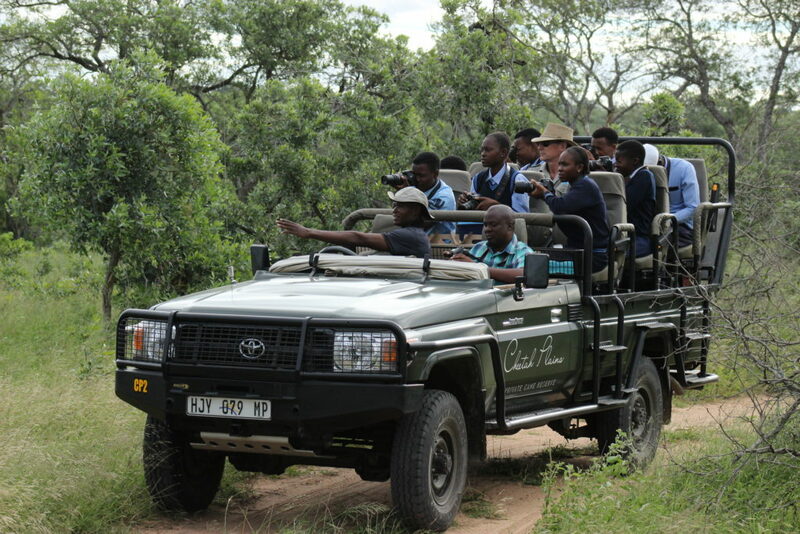 Feedback from the learners indicates that many of them are now interested in careers in conservation and tourism. What have you found to be most rewarding about each workshop? I love working with the children. Their images are often different from the norm and really inspiring. 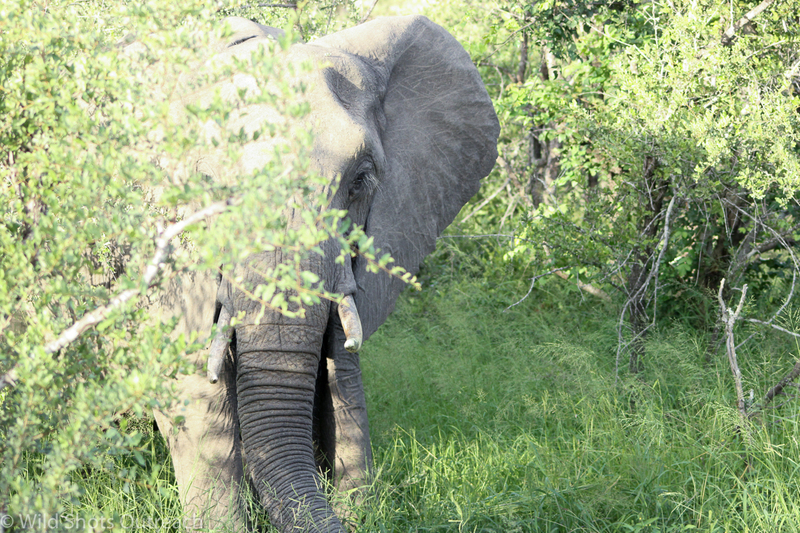 To share their first ever encounter with an elephant or rhino is magical. Seeing them gain self-confidence and self-esteem is so rewarding. Is this project solely funded by Wild Shots or do you have a few sponsors? 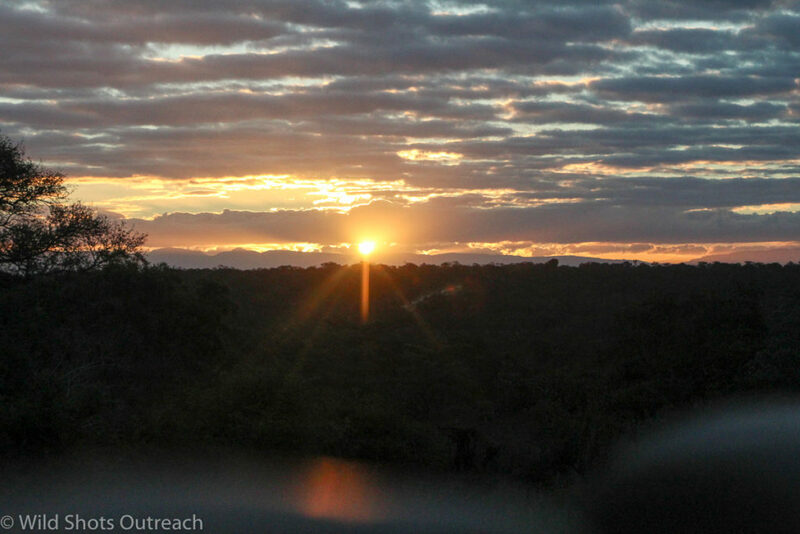 Wild Shots Outreach relies on sponsors and donations. The original cameras were all second hand donations. We have a sponsor funding a number of schools programmes. Though we are always in need of more support to scale up the project. We are so glad to have had a part to play in this program, and hope to have a role in more to come. A special ‘thank you’ to Jurie Moolman of Djuma Vuyatela and to Sabi Sand Warden Dave Powrie, SSW Gate Manager Jacques Woudberg and Interpark’s Francois Scheepers for their kind assistance with this event. We are all a step closer to enriching the minds of the local youth and also importantly, increasing the awareness for conservation of our irreplaceable African wildlife.